Pre-Order your bees from now until March 31st! Carniolan bees are considered to be very beginner friendly and easy to work around. They are hardy bees for this climate and do well in our winters. If they are happy and comfortable in their hive, they produce fabulous honeycomb and start making honey in the early spring. Contains 3 established inner frames containing brood. Introducing them to a hive is easy. Simply put the frames in your brooder box and provide the bees with food! Orders CANNOT be canceled or refunded after March 31st, 2019. The 5 Frame Nucs are for IN-STORE PICK UP ONLY AT BIG R WEST. Bees will be delivered to BIG R WEST approximately the first week in May (subject to change at any time) and you will be contacted prior to their arrival so you can make plans to pick them up. Bees MUST be picked up within 24 hours of notice. Please include your phone number in your order so that we can contact you. 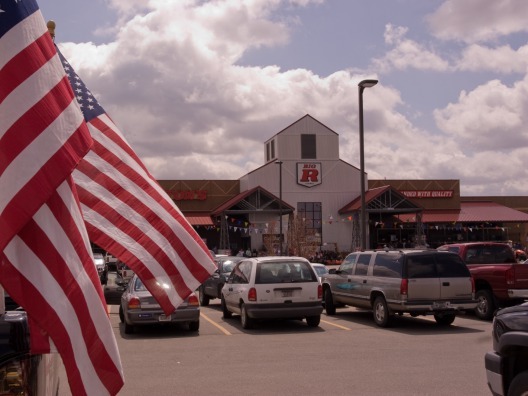 Wyoming residents, please select Big R West as YOUR STORE before you purchase your bees.